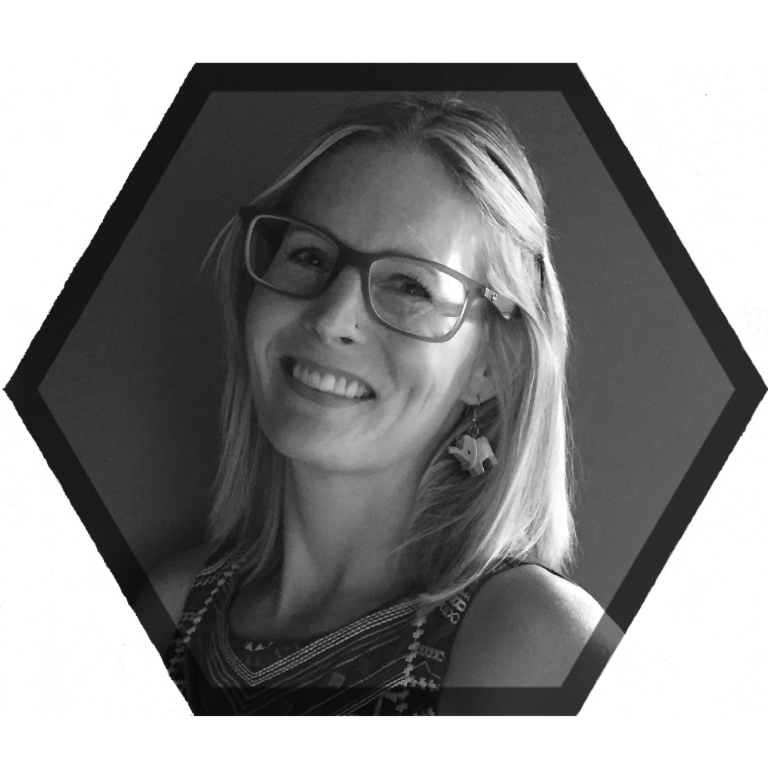 We are excited to share a guest blog from Busy Bee Kate! 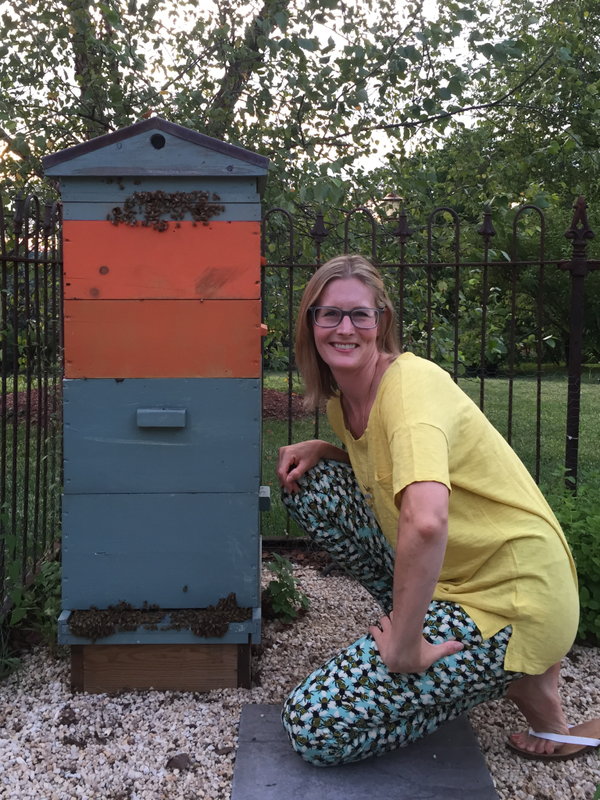 She is a conscious beekeeper, and Naturally Curated fan who loves what we are doing through Bee Inspired and wanted to help! If you are interested in beekeeping, this is your post! 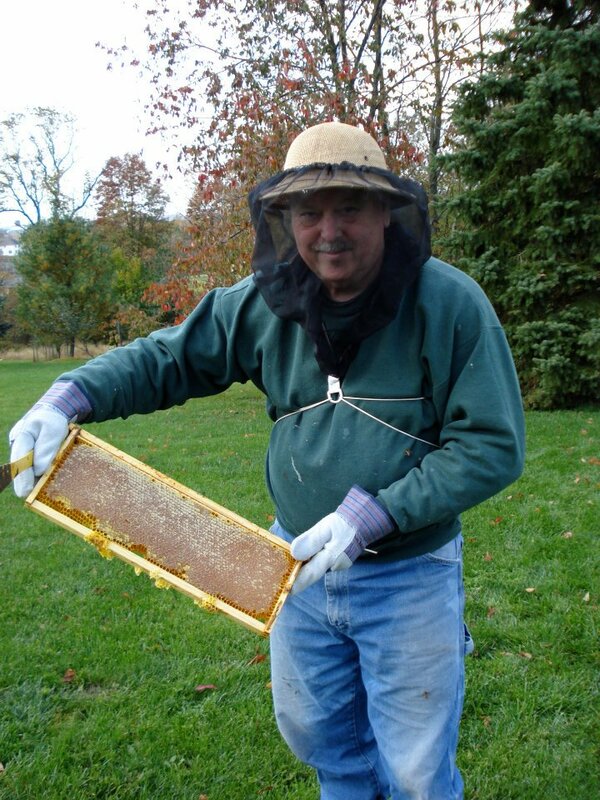 So you want to become a beekeeper? The thought of those little bees buzzing by doesn’t scare you, in fact, it fascinates you! That is how I thought about 10 years ago when I decided to take up beekeeping as a hobby with my father. He and I had talked about bees in the past and I decided it would be a great thing to learn more about, as well as a way to spend quality time together. I did some research and before I knew it we were spending every Sunday at a local apiary taking a beekeeping course. If you are interested in becoming a beekeeper I talk about the basics below: what equipment you’ll need to get started and how to choose the right bees. I have listed additional resources to help you get started. Read on to see if beekeeping is a good fit for you! Bees are important for local food systems, local agriculture, and really important for the environment. Bees help your vegetables, flower and other garden plants thrive and their importance for pollinating fruit and vegetables is crucial for our food supply. Bees also support a diverse ecosystem of other plants and animals that rely on their busy work. You’ll also need bees, which I will talk about more in a bit. WHAT BASIC TIPS DO I NEED TO KNOW? The best time to start a beehive is in the spring. Provide fresh water to make bees lives easier. You can have a small pond, a bird bath with rocks, or an automatic pet waterer. Position your hives away from direct afternoon sun and not in full shade ideally. Avoid overpopulation by having no more than a couple of colonies on a lot less than an acre. ARE THERE ANY LAWS TO PREVENT ME FROM KEEPING BEES? Beekeeping on residential property is allowed in many places, though often within certain requirements. To determine whether bees are permissible where you live, you must check the local zoning ordinance for your city or county. Some codes regulate by zoning, distance, and number of hives. Last year my county moved to a complaint-based model centered on whether people report specific beekeepers as a nuisance. I always recommend inviting them over to taste the fresh honey direct from the hive and once harvested giving them some honey as well! Sorry folks, Amazon isn’t the place to order bees (at least not yet!) The first place to try would be your local beekeepers guild (more info below on how to find one local to you,) or by checking out the ads in a beekeeping journal. Italian bees have lots of yellow on them and are gentle, very productive, pretty and easy to manage. They are better conditioned to the warmer climates and less able to cope with harder winters. They are the most common bee available. Carniolian bees are dark bees, very gentle, and a bit more demanding for management. They do winter better where winters are harsh. Russian bees are found in different colors are yellow and dark and her gentle and very docile, but somewhat erratic. They are a bit more complicated to manage, but a strong suit is that they are tolerant of, and resistant to varroa mites – a pest that you’ll learn more about as you take on beekeeping. You may or may not. Honey bees typically keep to themselves but are often mistaken with aggressive wasps or yellow jackets. They will sting you if they feel threatened. If you have a bee allergy or suspect you have one it is best to be seen by an allergist prior to your start of beekeeping. If you are diagnosed with an allergy to bees it is important to keep emergency medicine, adrenaline, on hand at all times in case of an emergency. HOW SOON CAN I HARVEST HONEY? You can take honey out at other times just be scooping out some of the honeycomb. I loved to eat it just out of the hive – so delicious! This post just touches on some of the basics and there is so much to learn. I always recommend starting with a good book on beekeeping. Here are some suggestions: The Backyard Beekeeper by Kim Flottum or First Lessons in Beekeeping by C.P. Dadant. There are also magazines geared towards beekeeping - both The American Bee Journal or Bee Culture are great ones to subscribe too. Your local beekeeping guild or association are invaluable resources for local information, group orders of bees and equipment, and for borrowing equipment (like an extractor). You can attend meetings to broaden your exposure, learn about ways to manage pests, and share ideas. I AM INTERESTED IN HELPING THE BEES, BUT DON'T THINK BEEKEEPING IS FOR ME. HOW CAN IN HELP? Avoid planting toxic seeds namely those coated with clothianidin and other systemic insecticides. Allow wildflowers to grow in your garden and don’t pick those out in the wild. Don’t weed your garden. Don’t use pesticides, fungicides, or herbicides treat your garden with any other chemicals. Plant a diverse selection of flowers and plants. Support your local beekeeper by purchasing raw, local honey. 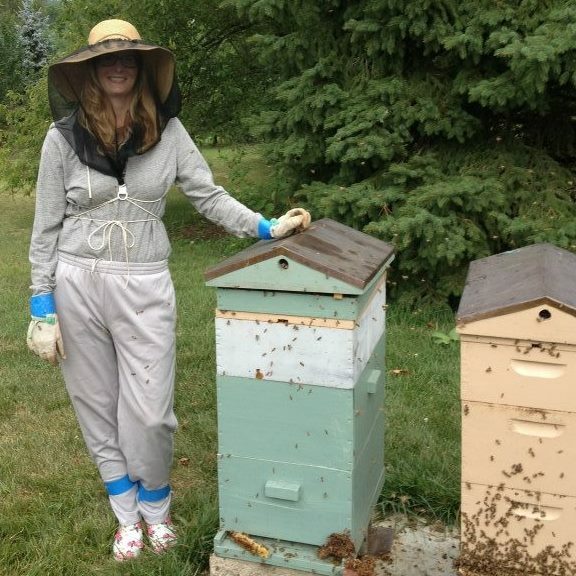 Beekeeping can be a fun and rewarding hobby but it may not be for everyone. The cost involved as well as the time involved makes keeping bees a commitment, which, to me, is similar to owning any sort of pet. I encourage you to learn more about bees, join your local beekeepers guild, research your local zoning codes, and see if bees are a good fit for you and your family. Being a beekeeper is a powerful way to give honey bees a home and help our food supply, agriculture, and environment. Happy beekeeping!